So cute in our nursery! I would suggest purchasing their pillow form to go with the pillow. I didn’t and wish I had. My camera isn't great, but the pillow was wonderful! 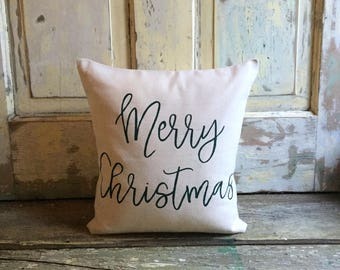 Holiday pillows are 25% off! FREE SHIPPING all day + 25% off all holiday pillows! Two Georiga Peaches who love to DIY! We are Two Georgia Peaches, living and creating in Charlotte, NC. Above all, we are mamas on a mission! Our mission is simple - to contribute to our families by doing what we love without sacrificing our time at home (and on the go) with our little ones. It is our firm belief that home is where the heart is - and we put our heart into all that we create, especially in the atmospheres we create for our families. We hope our pillows and homegoods help create a sense of home and nostalgia for you and your families, wherever you are! We have been collaborating in our various crafts for nearly 15 years! Whether creating home decor, jewelry, clothing, or putting together special atmospheres for showers and parties. What started as an idea to partake in local craft fairs, led to a full blown Etsy business when our husbands were transferred around the same time and we all began our new lives in Charlotte! We are Two Georgia Peaches, living and creating in Charlotte, NC. Above all, we are mamas on a mission to contribute to our families by doing what we love without sacrificing our time at home (and on the go) with our little ones. Dev and Anju, raise their children in the US while traveling back and forth operating their supply facility. They handle the fabrication of our pillow covers. They are against child labor, employees are paid fair wages and are treated as family.